The perfect place for your family. Many children who once spent their family skiing holidays at Hotel Hirlanda with their parents are now parents themselves. They continue the tradition with their own children, showing them where they learned to ski, where they once stayed, and what they experienced during their eventful family holidays on the Arlberg. 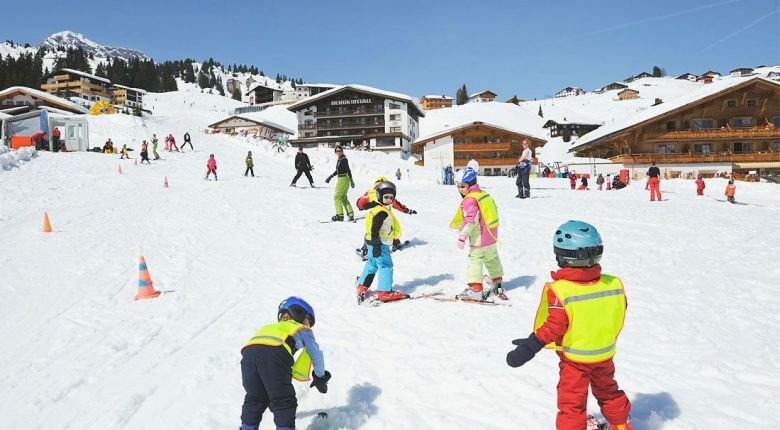 Your children will love the location of our family-friendly ski hotel right on the slopes. Children can romp in the snow next to the terrace, while you enjoy the last rays of sunshine with a glass of champagne, a revitalising coffee, or a slice of homemade cake. For your family skiing holiday in Lech Zürs am Arlberg Lech Zürs am Arlberg, we look forward to welcoming you to our family-friendly and traditional Hirlanda Ski Hotel. 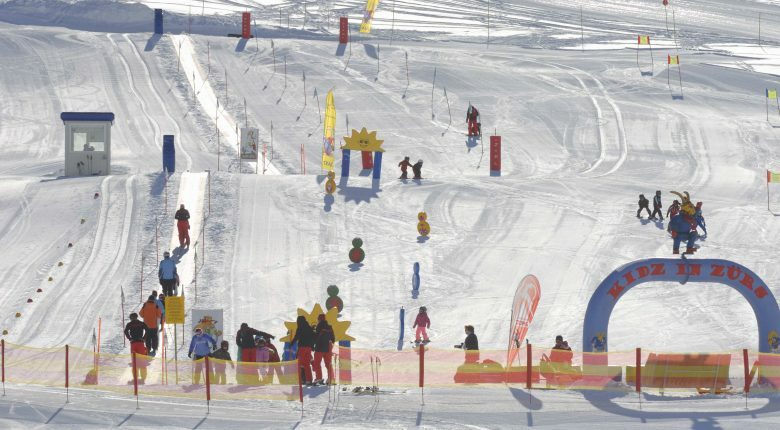 A magic carpet, snowman slalom and other surprises delight children at the Bocki Children's Land. The best ski school around! Whether you’re skiing for the first time or perhaps a seasoned veteran keen on the black slopes, the fascination of skiing never gets old. What you learn in a playful way as a child is much more difficult to learn as an adult. Therefore, we highly recommend a skiing lesson. An experienced ski instructor will be at your side, giving you tips and exploring the largest contiguous ski area in Austria’s at your side. Skiing lesson offers are as diverse as Ski Arlberg itself. There’s something for everyone whether it’s your first time on skis, or you’re in need of technique training for carving or powder skiing. After all, confidence in one’s abilities on the slopes also increases the joy of skiing. How do we know? Because, just like many guests of the Hotel Hirlanda, we’ve been on skis since we were very young and still have fun carving down pristine white slopes.